McChoppers, originally uploaded by thejesse. 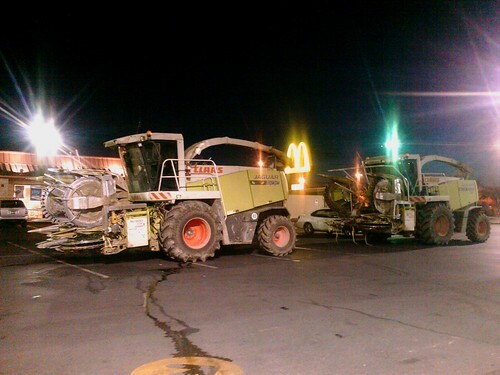 Two Claas Jaguar 900 corn choppers at the drive-thru in Twin Falls Idaho. I bet you freaked the McD's folks out to see those drive up!